← Charlotte Fakes and the Data Protection Act – Part 1 – Is Charlotte’s Web Broken? A desperate and long-running battle is being waged over control of Sevco 5088 Ltd which lies at the heart of the ‘WHO OWNS RANGERS’ riddle. Attempts to send the company to an unmarked watery grave appear to have failed and the Registrar at Companies House has withdrawn documents from public scrutiny which attempted to remove two of the three directors controlling the company. This story has enormous repercussions for the SFA and the future of Rangers; Ticketus; shareholders of Rangers International Football Club; a London court case next month; the BDO investigation into Rangers; the main players viz Charles Green, Craig Whyte and Aidan Earley. Pinsent Masons may also have cause to ponder their underwhelming private investigation at Ibrox especially when the dogs in the street – never mind the bampots and clatterers – know Whyte had nothing to do with Sevco Scotland. What, if anything, Pinsent Masons uncovered re Sevco 5088 and Whyte and the likes of Green and Rizvi remains a secret or in legal jargon ‘confidential and legally privileged’. Many of my readers can join the dots and I will keep speculation to a minimum and attempt to provide facts sourced on official documents. As befits a skeleton story it’s very very scary. No zombies have been harmed in the production although hopefully some spivs might be mortally wounded but more important is the need to fully open the eyes of Bears to the dangers which face their club through a lack of transparency. Ecojon is back on the trail! The Rangers AIM flotation prospectus is silent on the pivotal role played by Sevco 5088 which after initially acquiring exclusive rights to purchase the assets of oldco Rangers signed a three-way agreement with D&P (administrators of Rangers 2012 Plc) and Sevco Scotland Ltd to ensure transfer of the assets to the latter company. The Prospectus however airbrushes out this key Sevco 5088 contribution by stating that on 14 June 2012 TRFCL acquired the business and assets of Rangers. Poor old Sevco 5088 was relegated to a minor mention as a ‘related party’ because Charles Green an RIFC director and shareholder was claimed to be ‘the sole shareholder’ in Sevco 5088. Green was supposed to list companies of which he was a director in the AIM prospectus but failed to disclose that interest in Sevco 5088 and it had to be corrected by a later AIM announcement. Just a week after the RIFC December 2012 flotation Charles Green, listed on Companies House at that time as sole director of Sevco 5088, signed a form on 27 December 2012 instructing Companies House to strike-off Sevco 5088 using the solicitors Field Fisher Waterhouse (FFW), Vine Street, London. Companies House listed the proposal on January 7 2013 and the London Gazette carried it a week later. Then the company’s Registered Office was switched on 12 April 2013 from FFW at Vine Street to another London address associated with Craig Whyte who was also posted at Companies House as a director of Sevco 5088 along with Aidan Earley on the same day. The director appointment forms submitted to Companies House declared that Earley and Whyte were appointed Sevco 5088 directors on 9 May 2012 and each signed their appointment forms which were countersigned by Charles Green. The striking-off instruction for Sevco 5088 required a minimum of 2 directors to sign if a company had three directors but only Charles Green signed it which is only allowable in a sole director company. The spaces for additional director signatures were marked with an ‘X’. Reaction followed swiftly only four days later on 16 April 2013 when Companies House received electronically transmitted directorship termination instructions for Craig Whyte and Aidan Earley although the instructing party wasn’t identified. Curiously, both directorships were terminated from 9 May 2012 although their directorships only became public on 12 April 2013. Two director termination forms, for Earley and Whyte, arrived at Companies House next day on 17 April 2013 submitted by FFW and signed by Charles Green and FFW also submitted a change of registered office address form, again signed by Charles Green, switching it back to FFW at Vine Street. But the FFW Vine Street musical chairs had another whirl on 19 April 2013 when the Registered Office was again transferred back to the London address associated with Craig Whyte. On the same day Charles Green resigned as CEO of Rangers amidst a backdrop of allegations over his links with Whyte and Sevco 5088. This resulted in RIFC making an announcement on AIM on 22 April stating that Sevco 5088 was a subsidiary of RIFC on 7 December 2012 when the company’s AIM admission document was presented. Stung by further media speculation, RIFC made another statement to AIM two days later on 24 April to refute claims that Sevco 5088 was controlled by Law Financial Limited or the Worthington Group Plc. RIFC described Sevco 5088 as an inactive subsidiary which was and is defunct and non-trading. RIFC alleged that Sevco 5088: ‘Would have been struck off by the Registrar of Companies had false claims of directorships not been filed recently at Companies House’ and added: ‘Sevco 5088 was not the acquisition vehicle which purchased the assets of Rangers Football Club.’ Both announcements to AIM were handled by CENKOS the broker and Nomad for RIFC who have now departed the scene. The AIM statement is carefully worded and tries to avoid the man-traps that surround the removal of Sevco 5088’s legally binding exclusive right to purchase the Rangers assets and business and the transfer of these rights to Sevco Scotland by mysterious alleged Sevco 5088 ‘directors’. In spite of the AIM bluster the December 2012 Sevco 5088 strike-off move by Charles Green was suspended by the Registrar at Companies House on 4 May 2013 after an objection was received which may well have come from Whyte and Earley or possibly Law Financial or Worthington and this was re-confirmed on 9 August 2013. In between times the Registrar – on 3 July 2013 – authorised removal from Companies House Public Register of the four directorship termination instructions with regard to Earley and Whyte dating from 16 and 17 April 2013. So what is actually happening? Let’s go back to the beginning when Sevco 5088 was incorporated in Cardiff on 29 March 2012 and the formation agent became a director and a £1 subscriber share was issued to 7Side Secretarial Ltd. On 3 May 2012 the agent stood down and was replaced by Charles Green but there is no indication in public records that the £1 subscriber share changed hands from 7Side Secretarial Ltd. This seems at odds with RIFC’s AIM claim that Sevco 5088 is a subsidiary company when Companies House records show the shareholding held by another company. This is also at odds with the Rangers AIM Prospectus which claims Charles Green was sole shareholder in Sevco 5088. Sevco 5088 is also well overdue in making its Annual Report due on 26 April 2013 and which would detail the shareholding. Of course if the company had been struck-off as requested by Green then the need to make the return would have sunk beneath the waves without a ripple just like poor old Sevco 5088 was meant to after completing its top-secret mission. The critical TRFCL Board meeting of 31 October 2012 – whose minute was publicly released to the internet by CF – was attended by: Malcolm Murray (seemingly cast as ‘Daniel); Charles Green and Imran Ahmad in person and Brian Stockbridge by conference call. The Board noted that Sevco 5088 had entered into a binding offer letter with D&P on 12 May 2012 to purchase Rangers by a CVA or failing that to acquire the assets and business of Rangers by an Asset Purchase Agreement (APA) and on 14 June 2012 the APA was completed after the HMRC ruled-out a CVA. Prior to completion of the APA various ‘original placees’ had invested cash in Sevco 5088 and were to be issued placing shares in that company because their investment was conditional on Sevco 5088 completing the APA as the ‘purchasing entity’. I don’t have written proof if any of this placing cash was remitted to D&P prior to 14 June and wonder if anyone can assist on this point. The Board noted that prior to 14 June 2012 these ‘original placees’ had given oral consent to the ‘directors of Sevco 5088 to switch their cash and placing letters to Sevco Scotland. The directors aren’t named; no written agreement appears to exist; and the ‘switch’ dates aren’t given. The ‘original placees’ and shares held were: Margarita Trust (2.6 million); Norne Anstalt (1.2 million); Putney Holdings Ltd (700K); Elias Kaisar (100k); Jean T Haddad (250k); Blue Pitch Holdings (4 million); Glenmuir Ltd (1 million); Ian Hart (290k). The Board noted that a few days prior to 14 June ‘the directors’ of Sevco 5088 apparently decided to set up Sevco Scotland Ltd (the predecessor company to TRFCL) to acquire Rangers and the TRFCL Board meeting of 31.10/2012 minutes that Sevco Scotland entered into the APA and acquired Rangers (with Sevco 5088 and D&P parties to the APA in addition to Sevco Scotland ‘to provide written consent to the change of acquiring entity’. So we have repeated references to ‘the directors’ of Sevco 5088 and yet there was only the one director – viz Charles Green – shown in Companies House records up until April 2013 when Earley and Whyte went public. But they weren’t publicly notified as directors at the time of the Board meeting on 31 October 2012 and indeed in a statement to AIM on 24 April 2013 RIFC described the Earley and Whyte directorships as ‘false claims’. So who are these mystery Sevco 5088 directors repeatedly mentioned in the TRFCL Board minute? And why if Earley and Whyte had falsely claimed to be directors with effect from 9 May 2012 did Charles Green issue termination notices of their directorships and state the start date for them was 9 May 2012? Surely the correct step would have been to state there was no start date because they weren’t legally directors and I am surprised that FFW appears to have let this go. The TRFCL Board minute of 31/10/2012 said ‘the directors’ of Sevco 5088 had agreed the Board structure and shareholding of Sevco Scotland would be the same as Sevco 5088. In terms of public notification that appeared to be the case from 29 May 2012 until 28 June 2012 when Green was the sole director of Sevco Scotland and also publicly appeared to be the sole director of Sevco 5088. But on 29 June 2012: Murray, Ahmad and Stockbridge all became directors of Sevco Scotland but this wasn’t replicated in Sevco 5088 unless there were three other directors who hadn’t been made public. A curious reference to Founder Shares is noted in the TRFCL 31/10/2012 minute that 2,199,900 shares were allotted to Charles Green in Sevco Scotland but that shareholding isn’t publicly replicated in Sevco 5088 so where is the ‘mirroring’ of shareholding in the two companies? 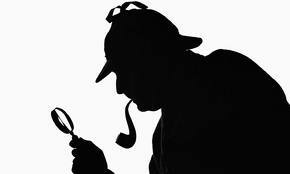 Is there any trace of the mystery Sevco 5088 directors? CF has provided documentation that purports to show that a Board Meeting of Sevco 5088 took place in London on 9 May 2012 which saw Earley and Whyte installed as directors of the company from that date and that Green would resign his directorship at a date chosen by Whyte and Earley. Serious questions remain uncover the real reasons behind the ‘switcheroo’ and its legality which will only be established IMO when all the veils are removed. Ecojon. Who loves you Bhaby. Same old, same old. It`s there for all to see but you`re to keep it scum. It`s the sevco way. You know it makes sense. Fuds. Whose to to do, please ? I see the loons have taken over. Now more than ever they rely on the sectarian stuff — everything else at Ibrox, the whole facade, has crumbled to dust so that all they are left with is the poison.